Apart from certain pains, some mothers have to undergo from migraines. You will find yourself at a dilemma during pregnancy if you are suffering from migraine pain during pregnancy. A lot of changes happen in the woman’s body during pregnancy for the proper growth and development of the baby. However, post delivery all these pains settle down. Apart from certain pains, some mothers have to undergo from migraines. You will find yourself at a dilemma during pregnancy if you are suffering from migraine pain during pregnancy. Thus, in this article, we will discuss about the causes and prevention of migraine pain during pregnancy. What are the causes of migraines during pregnancy? Due to various factors, migraines are triggered. It is believed that every individual is sensitive towards certain factors which trigger migraines. Hormonal Changes: The oestrogen hormones are known to trigger migraines. That is why during menstruation, menopause and pregnancy women experience frequent migraine attacks. In fact, for the same reason migraines are known to be more common among women than men. Behind migraines, another neurotransmitter serotonin also appears to be a culprit. 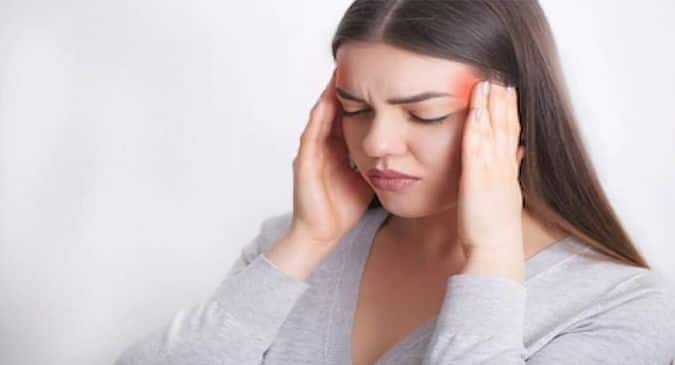 Migraines are also associated with low levels of serotonin, that is when you are stressed or emotionally low you get migraines. Pressure fluctuations: Due to blood pressure fluctuation majority of women can get migraines. The increase in blood pressure can cause the nerves of the brain to restrict the blood flow. Also, it can be a warning sign of preeclampsia if high blood pressure along with a migraine in pregnancy. How can you manage migraines during pregnancy? First, you need to identify what triggers the migraine attack. To win half the battle identifying the trigger can surely help. Maintain a diary if possible. Take a cold or warm shower or compress to reduce the pain and to relax the tense muscles. To increase the feel-good hormone exercise a little but consult your doctor before practising any exercise during pregnancy. And lastly, to combat migraine headaches sleep can be quite useful.